HdM GALLERY Beijing Space announces the forthcoming exhibition ‘Opposites Attract’, a solo show of artist Yu Yang. This is his second cooperation with HdM GALLERY and his first solo show in Beijing. The exhibition will showcase the artist’s latest ink painting installations. The show will open on December 8th and last until January 12th 2019. Yu Yang is adept at using the characteristics of water, ink and paper to create a unique visual experience. For him, the combination of these three materials forms the main external representation of Chinese traditional painting and calligraphy, but nowadays, the goal of ink painting is not to write or paint, but to liberate people from the cultural burden of ink painting, to release the cultural attributes of a particular material, and to close up the distance between past and present to create more possibilities. 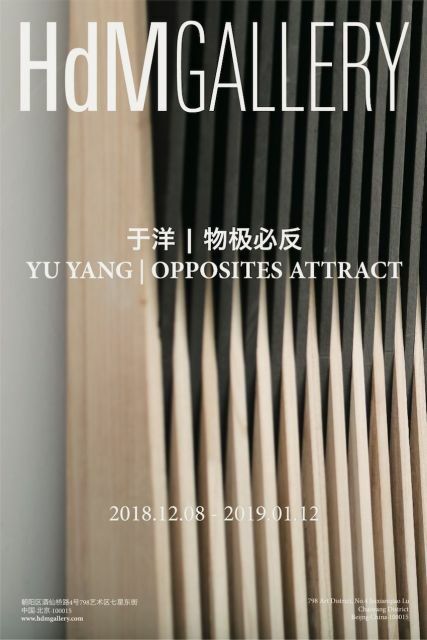 The works of the exhibition are Yu Yang’s latest, dating from 2018. The whole space showcases the medium in which he excels, to create a state that can be summarized as ‘Opposites Attract’. Wood is the substance, widely used, malleable, and close to men, it is a kind of spatial material. Ink painting embodies the cultural and spiritual world, while wood is more entrenched in reality: the combination of these two is in fact a dialogue between spirit and reality. Yu Yang, born in Ulanbator, Inner Mongolia in 1979, graduated from the Central Academy of Fine Arts with a master degree in 2013. He is a member of the ‘Cold Ink’ art group, and now lives and works in Beijing. His work has already been largely exhibited including at National Art Museum of China (Beijing, China), The Long Museum (Shanghai, China), Minsheng Art Museum (Beijing, China), +BTAP TOKYO Gallery (Beijing, China), Parkview Green Art (Beijing, China), 3812 Gallery (Hong Kong, China), etc. 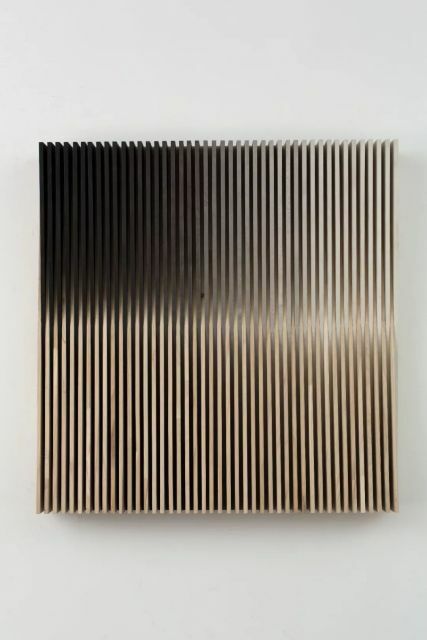 Courtesy of the artist and HdM GALLERY Beijing Space, for further information please visit www.hdmgallery.com. Previous postTimes Art Center Berlin presents "The D-Tale, Video Art from the Pearl River Delta" Next postHow can art education change the world?